formulated to provide the best performance for sensitive eyes. Lady Black is the glue that lash professionals depend on most when their clients have high sensitivity to adhesives. even the most sensitive eyes. 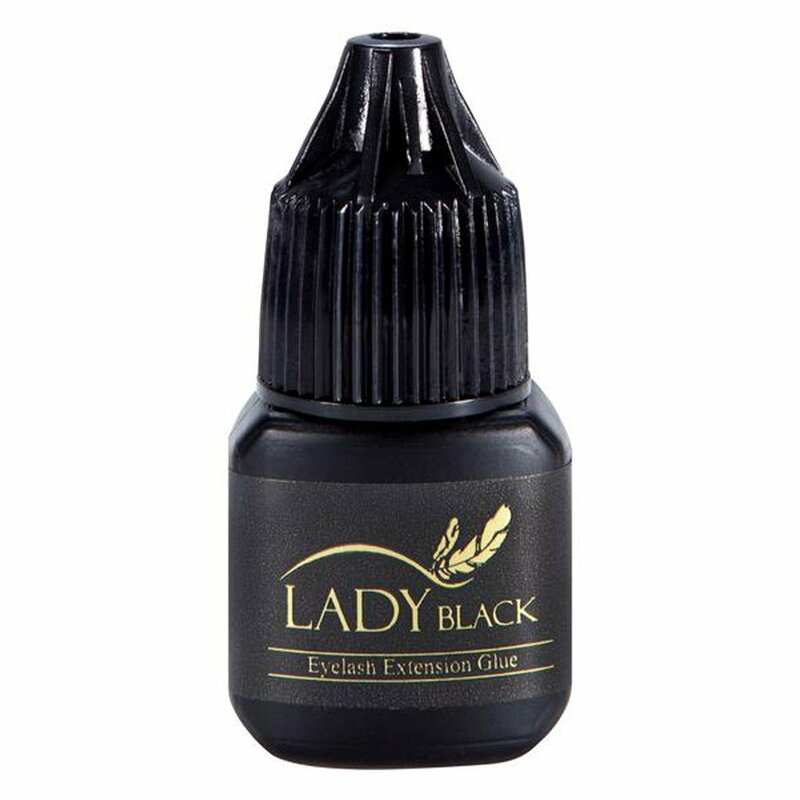 Lady Black is also the adhesive that lash technicians turn to when they are working in moderate to low humidity environments. Humidity greatly affects the performance of lash adhesive but Lady Black has been specially developed to be extremely versatile and will work well at both moderate and low humidity levels. It's performance will not drop off quickly outside of the recommended humidity level and hence top lash professionals often consider Lady Black a "must have" in their lash supplies. affect your performance any longer - use Lady Black! - This glue is not suitable for applying cluster/strip lashes. - Shake well before use (for 30s – 60s). - If glue contacts skin or eyes, flush immediately with water or saline solution. If discomfort continues, seek advice from a doctor. Store upright with cap closed in a cool dry place away from children. The shelf life for unopened bottles of Flash Lash glue is up to 6 months. to extend shelf life for up to 8 months. Once ready to use, bring the glue into room temperature for a minimum of 1 hour. Once opened, all types of Flash Lash Glue should be kept in a cool, dry place between use. Our recommendation is to store glue with a silica pack in an air tight container to prohibit moisture. Keep all bottles tightly closed and stored in an upright position. Shelf life of the glue is between 5-7 weeks after the bottle has been opened. This product is not suitable for strip lashes Ardell. It is only meant to be used for eyelash extensions. Under no circumstances should you attempt to apply this glue to your own eyelashes. Always perform a patch test on new clients to ensure no reaction occurs. Not for private and own use!